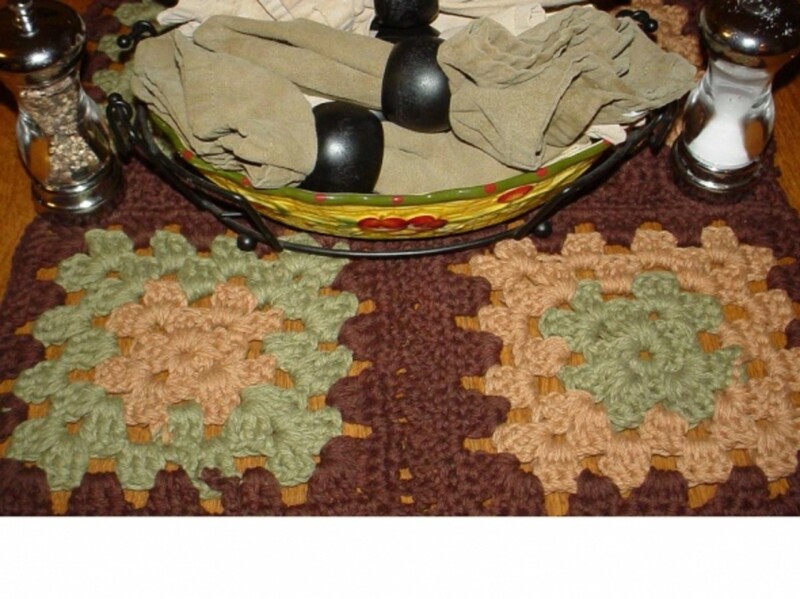 Those beautifully crocheted squares commonly seen in afghans are "granny squares," but they aren't just for afghans. Use them to make purses, scarves, rugs, slippers and just about anything else you can dream up. 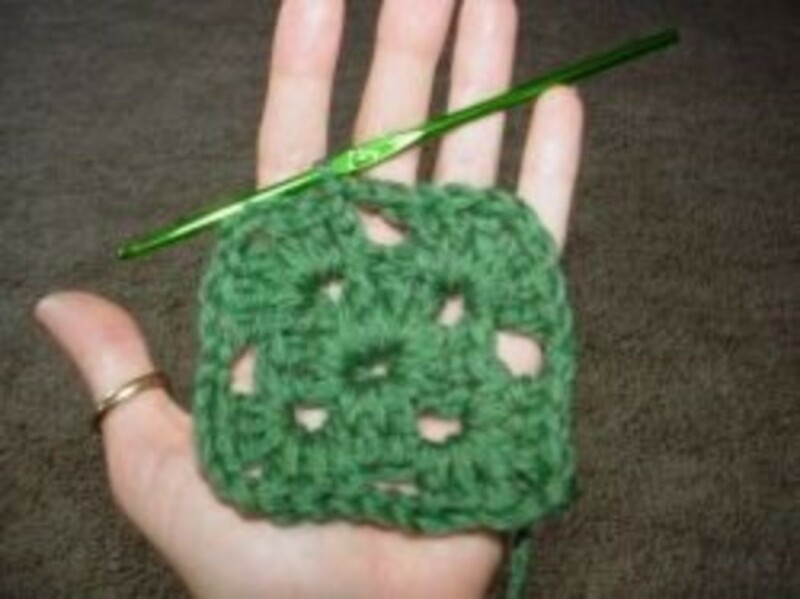 The simple instructions below will help beginners crochet granny squares fast! Enjoy! 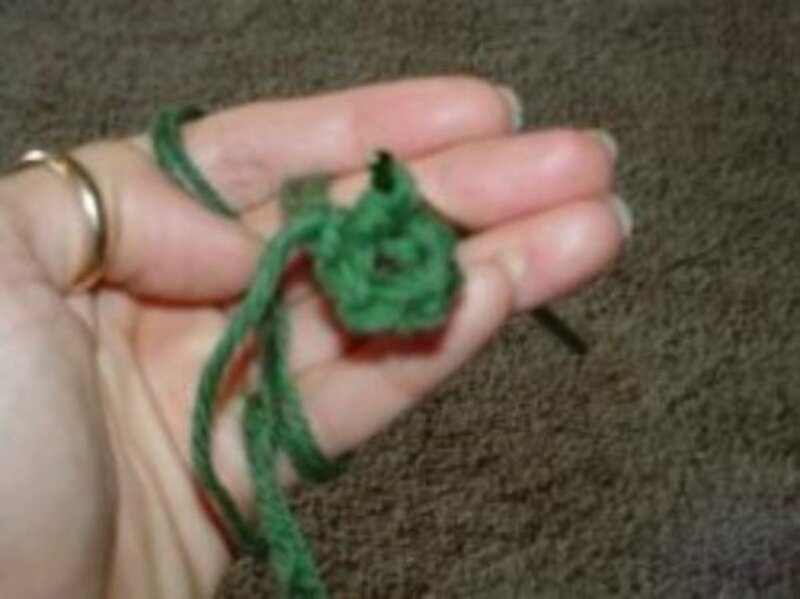 The first step to crocheting a granny square is to tie a slip knot and place it on your crochet hook. If you need help tying a slipknot, you can find more information here: How to Tie a Slipknot. In this tutorial, I am using an F (5) size crochet hook and two strands of DK weight merino wool yarn held together as one. Do you have your slipknot on your crochet hook? Then move to step 2. * Chain 6. If you do not know how to chain stitch, see, "How to Chain Stitch" for further Instructions. * After you have chained 6 stitches, slip stitch the chain together into a ring. To do this insert the crochet hook into the first chain stitch, yarn over (grab the yarn with the crochet hook) and pull the yarn back through the chain stitch to form a ring. You have your ring of chain stitches, now we are going to build from that foundation. *Chain 3; This is a chain extending from the ring you made in the previous step. 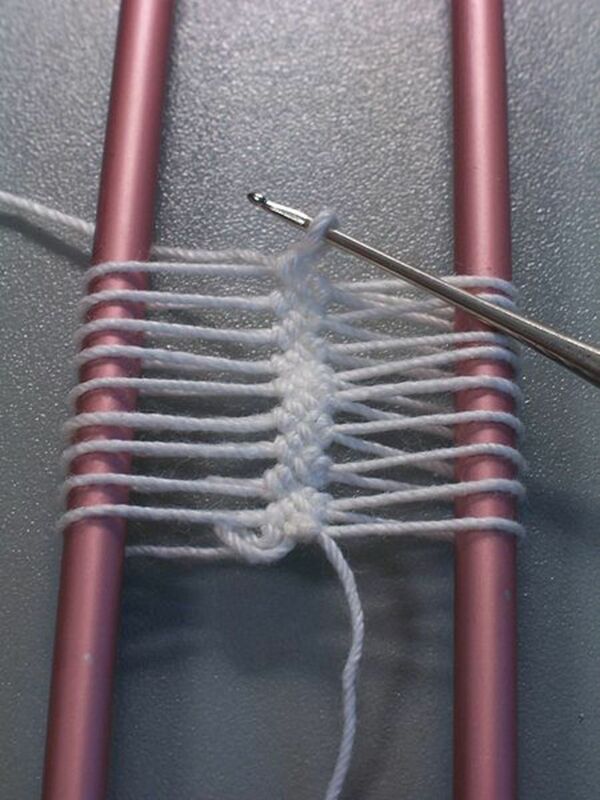 It serves as the first double crochet stitch in the next round. *Double Crochet 2 times through the middle of the ring. 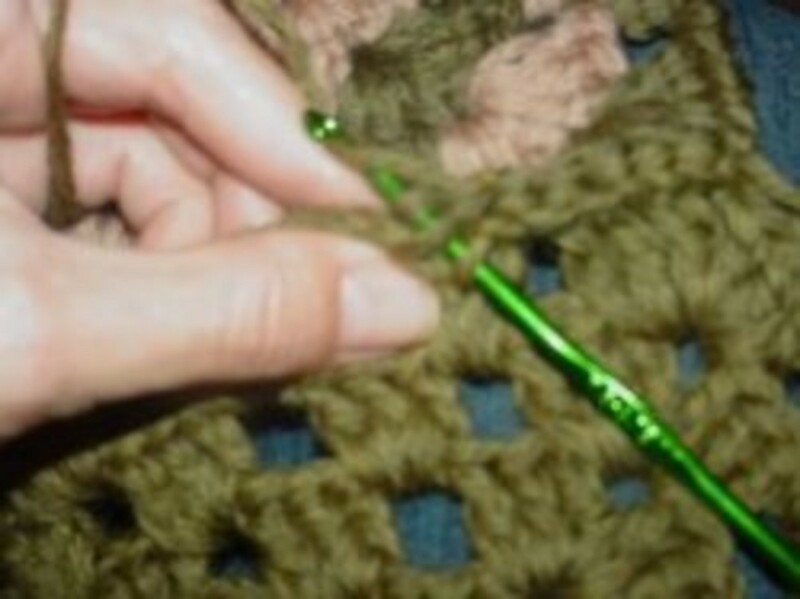 The double crochet stitches do not go through the top of the chain stitches, as commonly done in most crochet projects. Instead, the double crochets go all the way around the chain ring made in the previous step. *Chain 2 again. Slip stitch into the 3rd chain stitch created when beginning the row, to form a complete circle of double crochet stitches. 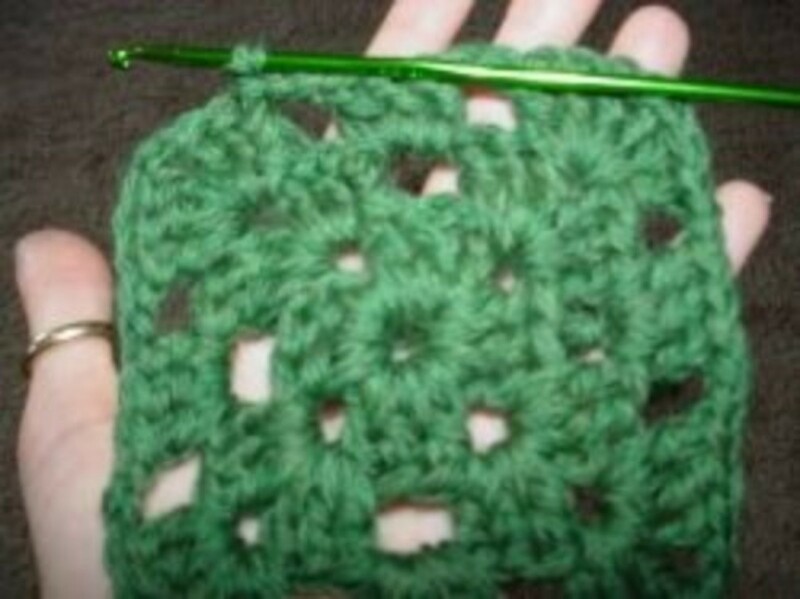 Now, let's look at the beginning of our crocheted granny square. If you look at the spots where you chained 2, you can see 4 distinct spaces in the circle. Go ahead; poke your finger in them. Those are the spaces where we are going to be crocheting in the next round. In fact, that is what is interesting about crocheting granny squares, you are always crocheting through the open spaces in the previous row. Those 4 spaces we just talked about are going to be the corners of the granny square. *Slip stitch 3 times in the top of the next 3 double crochet stitches. We are doing this because we want to have our crochet hook adjacent to the space in the last row. Once the hook is in position, Chain 3. This chain represents the first double crochet stitch of the next round of our granny square. 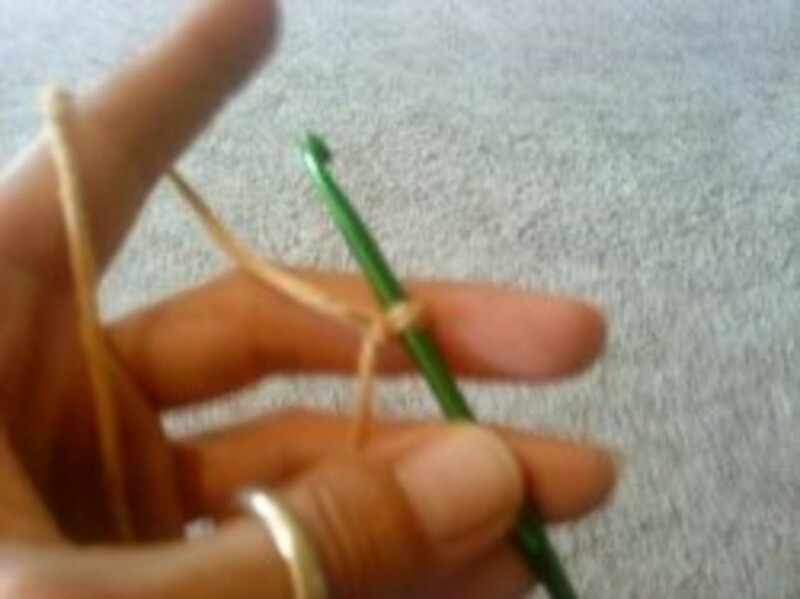 *Double Crochet 2 times going around the chain stitch that created the space in your ring. *Double Crochet 3 more times in the same space. Chain 2. *Slip stitch into the 3rd chain of the chain stitch that started the round. Let's look at our granny square. Each time we crocheted into an empty space, we created a corner of the granny square. There were four open spaces, now there are four corners. Each time you make 3 double crochets, chain 2 and make 3 more double crochets in a space, it creates a corner. The next two chain stitches are simply to stretch the crochet across to the next space. We will continue working in this method until we have enough crocheted rounds to complete our granny square. The next rounds will be a basic continuation of the pattern seen in this step. They are simply to enlarge the granny square to the size you desire. *Slip stitch 3 times to get your crochet hook adjacent to the next space in the previous round. *Chain 3 times. This chain represents your first double crochet stitch of the round. *Double Crochet 2 times. Chain 2. Double Crochet 3 times. This forms a corner. **Chain 2 to get to the next open space. *Double Crochet 3 times. in the open space. *Chain 2 to get to the next open space. *Double Crochet 3 times. Chain 2. Double Crochet 3 times. This forms a corner. *Beginning at ** repeat 3 times. *Chain 2. Slip Stitch to the third chain stitch in the beginning chain of the row to complete the round. Follow the same basic pattern in the previous step until your granny square reaches the size you desire. Don't forget to begin each round by slip stitching to get to the next open space and Chain 3. The beginning chain is very important. Without it, you will not be able to tell where your round began. If you make a mistake, just remove the incorrect stitches and rework. To make multi-colored granny squares, you simply change the yarn color between rounds. It shows the original chain in black. The chain that represents the first double crochet stitch and the first round of double crochets in blue. Round 3 in green and round 4 in purple. The reason that the double crochets in round 3 and 4 don't seem to come from any particular chain stitch, is because those too, are crocheted around the entire chain, creating "clusters" of double crochet stitches in the empty corner spaces. Still not sure how to crochet a granny square? Watch this video for real time, step-by-step instructions. Photo by CallMe_Crochet. Creative Commons Attribution. 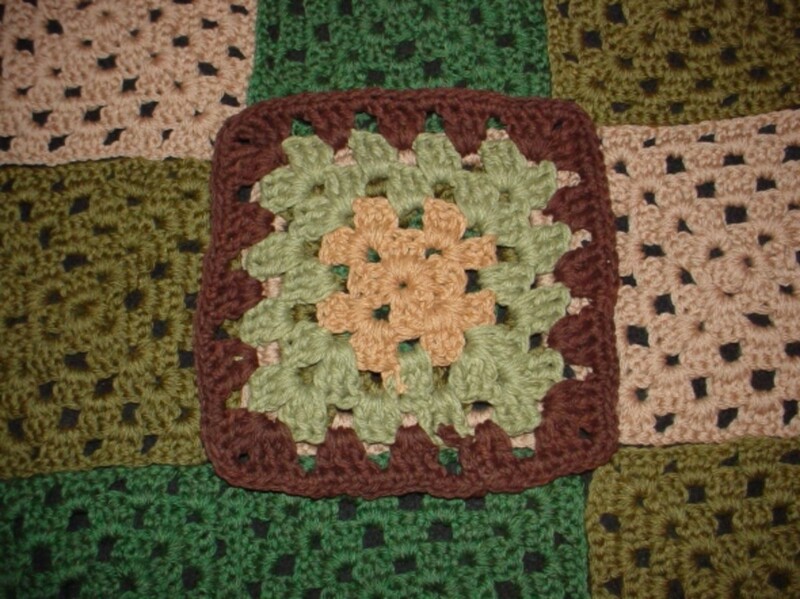 To join granny squares you can sew or crochet them together. Sewing works best for squares that are not identically sized. It is also the easiest of the methods. If you can whip stitch, you can sew granny squares together. 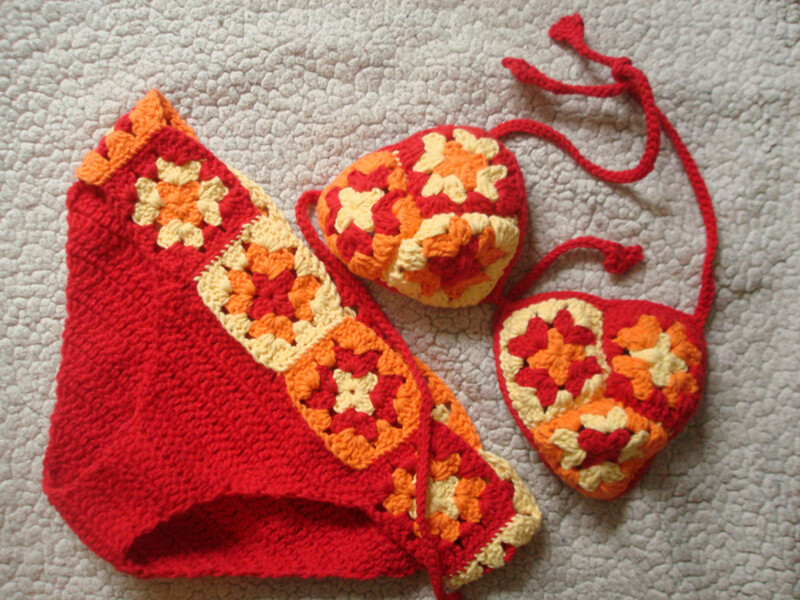 Another method is the crochet method. 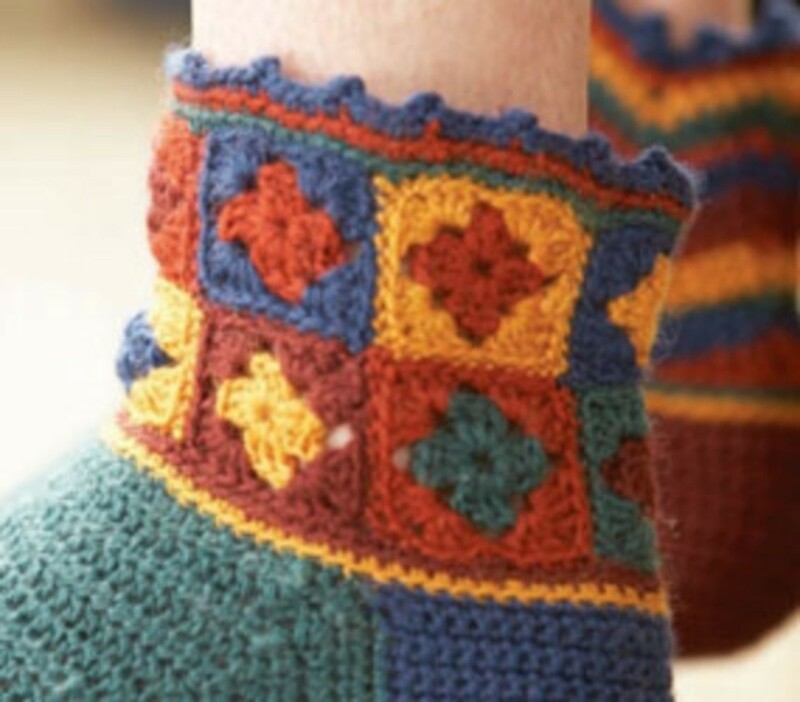 To crochet the squares together, simply lay the granny squares side by side and slip stitch through the outside crochet stitch of both borders at the same time. Detailed instructions are available below. 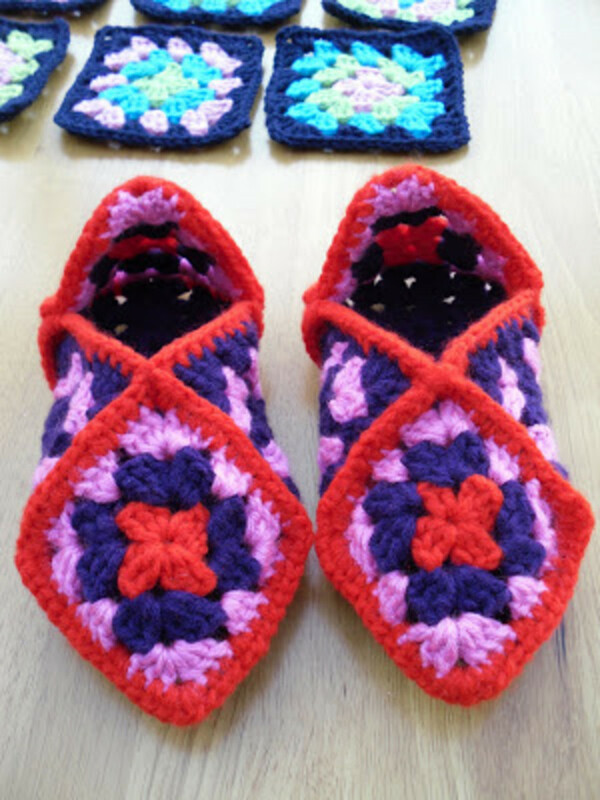 The tutorial shows photos of the crocheted method and the sewing method. If you still don't know what to do with those crocheted granny squares, check out these ideas. Select a thumbnail to enlarge in a new window. 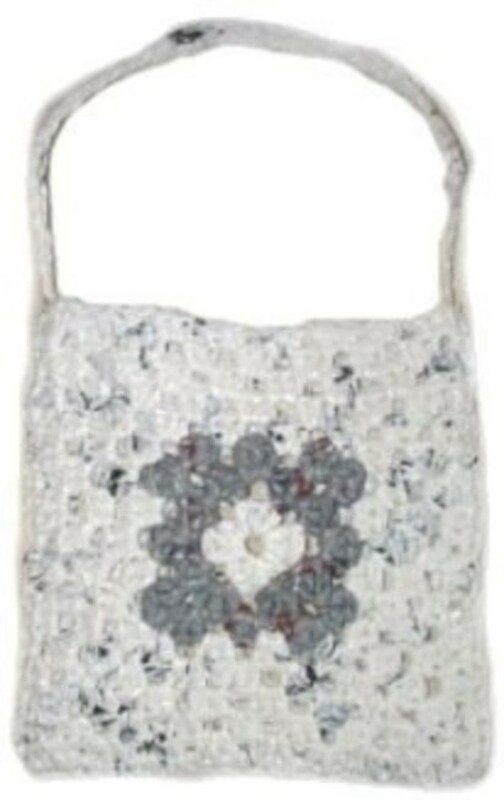 Granny Square Bag - The hippie in me loves this! If you are looking to move beyond the basic granny square, this is the book for you. Learn to crochet a triangle or octagonal granny square too! Did You Find These Instructions Helpful? 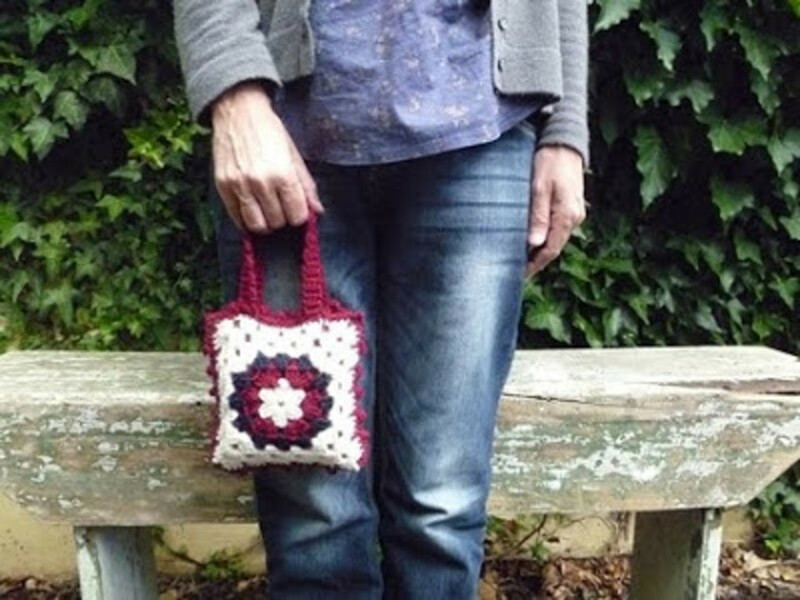 - Was How to Crochet a Granny Square Useful to You? Great! Now I can crochet a granny square! Not that Great, I'm looking for another resource so I can understand. Recycled crafts are a wonderful way to upcycle trash into something of value. Plastic is a perfect material to put to use in recycled crafts because it must be recycled or reused (in crafts). If it is thrown away, it will remain in landfills, because it is not biodegradable. 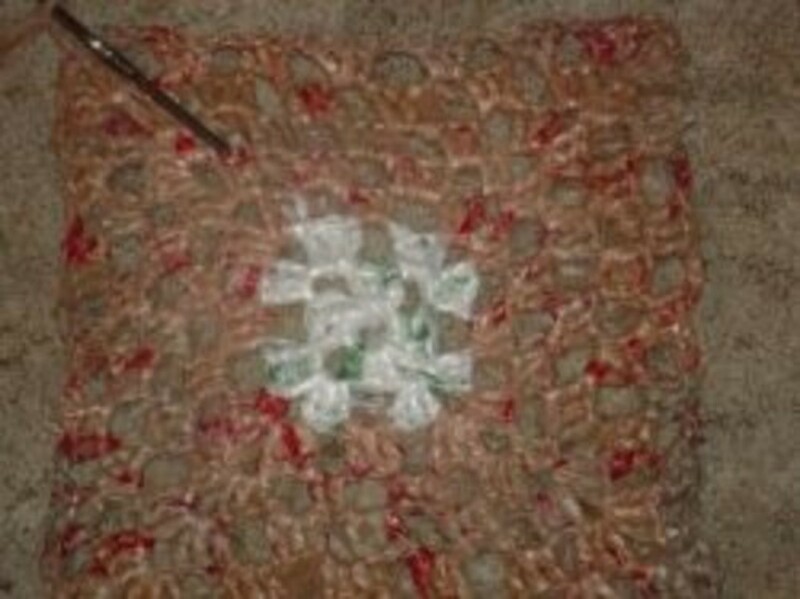 Granny squares are a great way to reuse plastic grocery bags. You can cut plastic grocery bags into strips and use them to crochet. 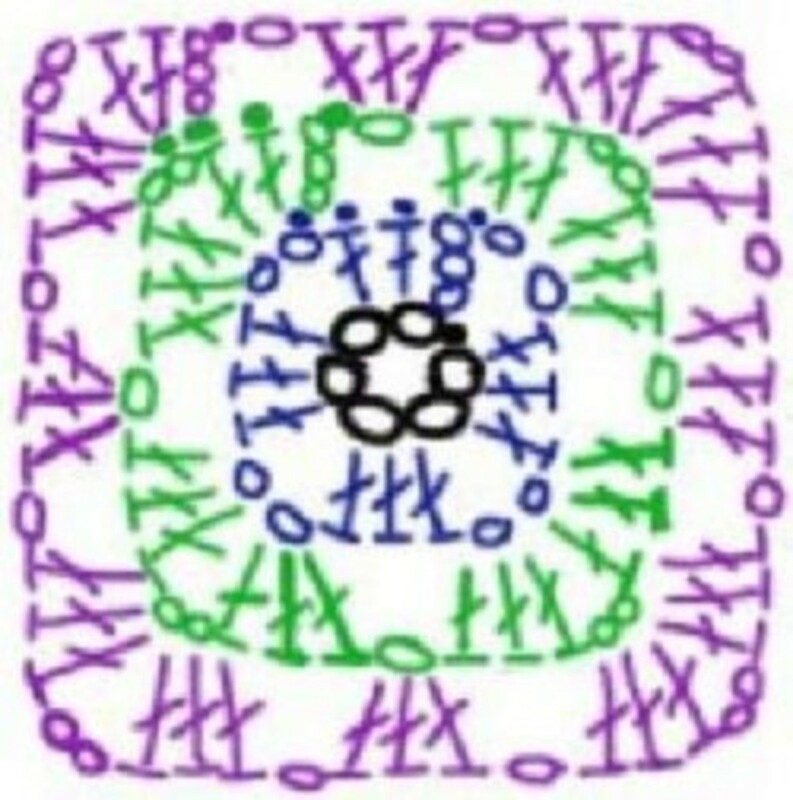 Because granny squares are based off a center ring, they do not stretch out of shape like some other types of crochet would. 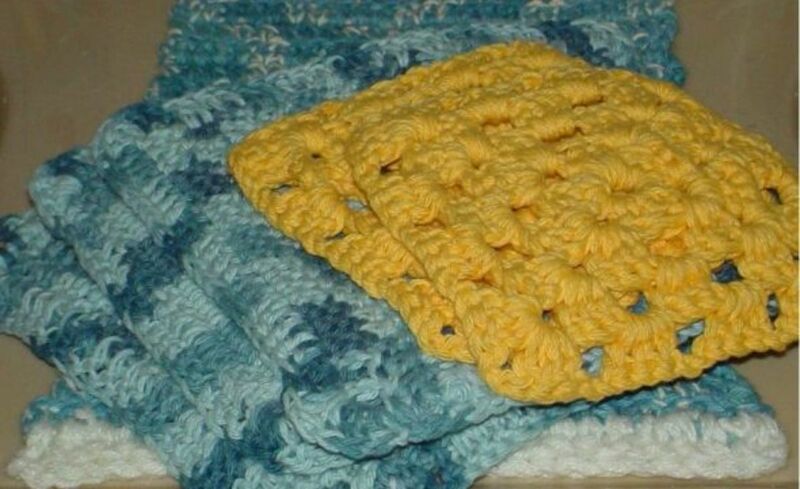 Because granny squares are so sturdy and difficult to stretch out of shape, they are a great way to crochet these recycled plastic bags into reusable shopping bags that will be very durable. 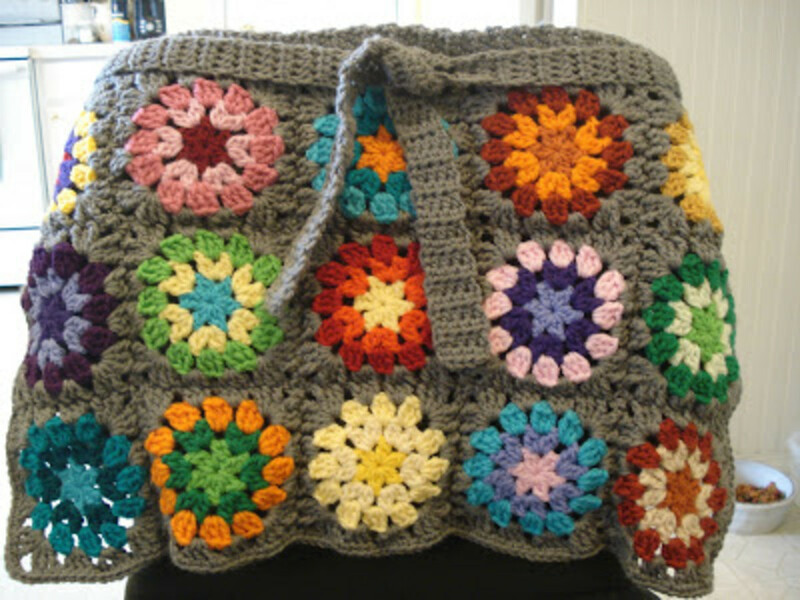 Granny squares can also be put together to make outdoor rugs and totes. Now that you know how to crochet a granny square, check out my other tutorials here at squidoo to crochet flower granny squares, or crochet a granny hexagon too! Tired of the same old granny squares? Even the beginner can whip up these pretty flower hexagons. I'll show you how step by step. I've always enjoyed crocheting granny squares. 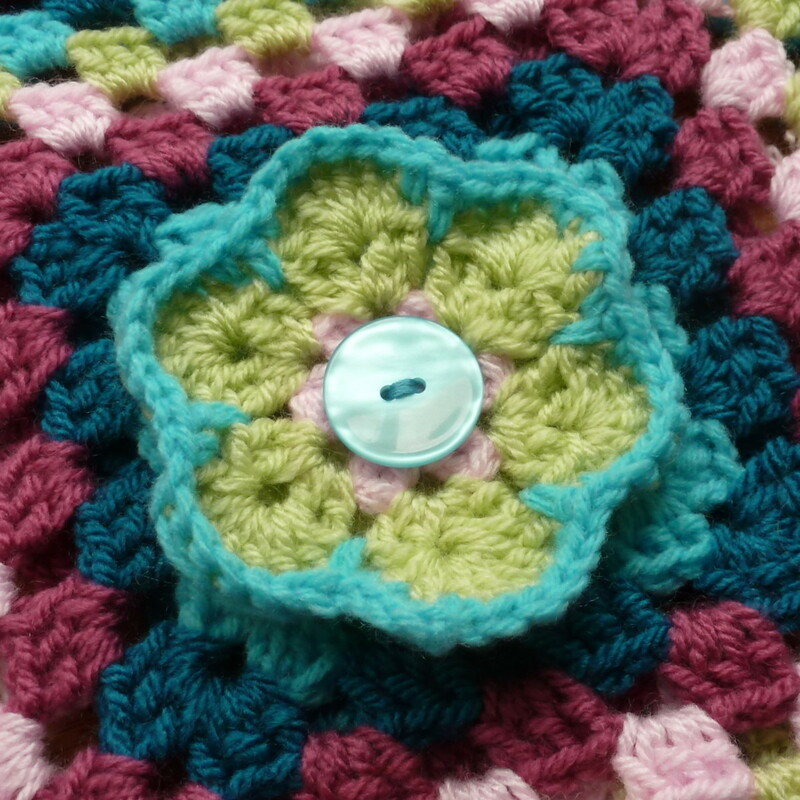 Recently, I came across a Flickr photo with brightly colored flower granny squares. Hoping to make a baby blanket from them, I looked for instructions. There weren't any, so I made these myself with the photo for inspiration. I saved the instructions here to share with you. For those of you that prefer video instructions, here is a granny square tutorial. Questions or Comments about Crocheting a Granny Square? - Leave them Here! It's been years since I've picked up a crochet hook. In fact, I just located mine (packed away) this afternoon and found your lens, looking to find a refresher course. Thank you. I am so grateful for your tutorials so I can begin to relearn how to crochet. I love learning new things and I really enjoy anything to do with sewing or crafts. Great lens. Wonderful step-by-step instructions. 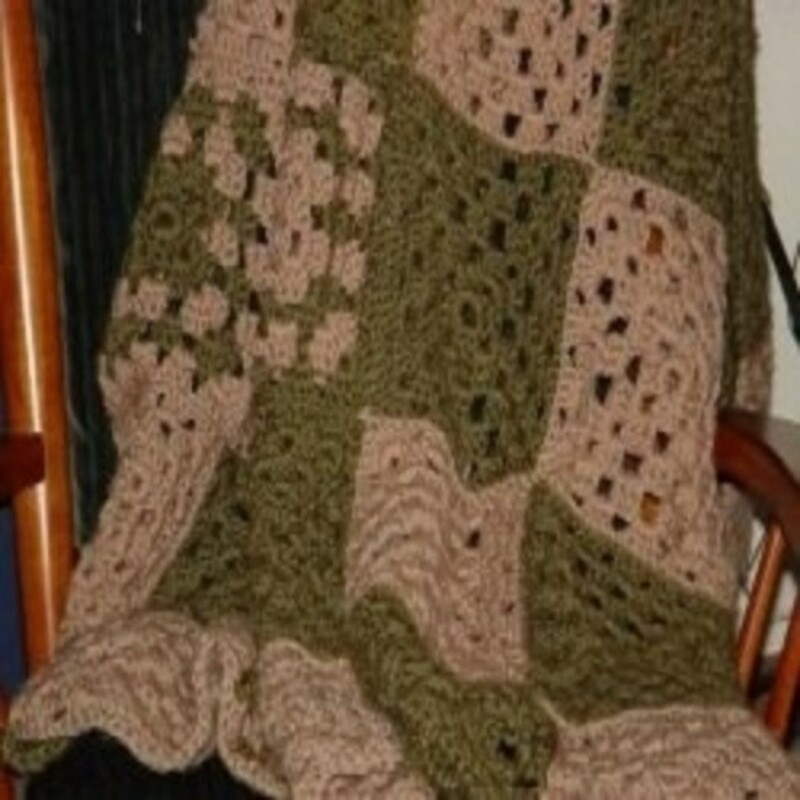 I am trying to find the patterns for crocheting granny squares with pictures in the middle of the blanket, such as tinkerbell. You make all your squares according to the pattern and colors, and then you stitch them all together and they come out as a blanket with a picture of tinkerbell, or other character. HELP! Thanks! Some very good ideas for all of the granny squares I make! 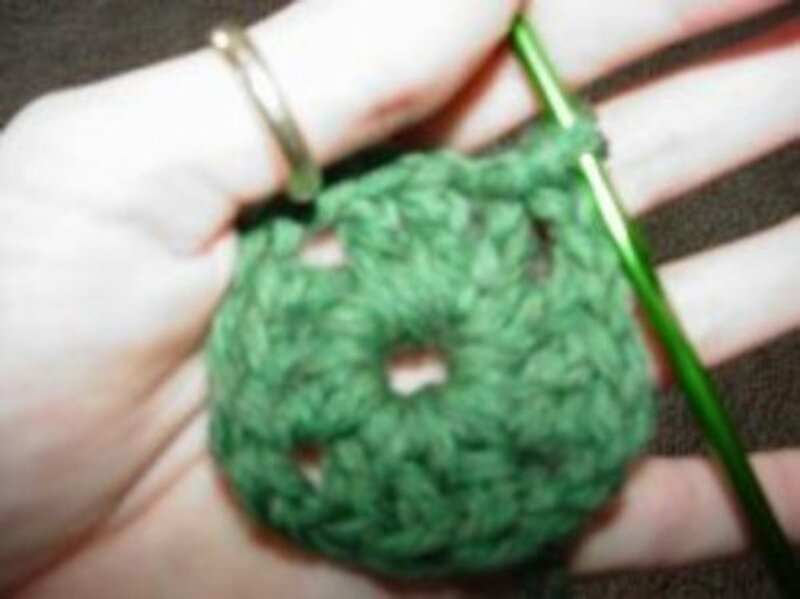 Thank you very very much on your beginner's How to Crochet a Granny Square. I did it right from your directions than having a lady from work show me. I'm back with a blessing although I still haven't mastered those Granny Squares! My mom taught me to crochet and I have crocheted several afghans--but now mom is gone and I haven't attempted this in awhile. Thanks for bringing all that back! Boy does this bring back memories. Great memories. My grandma taught me how to crochet and I've made trillions of granny squares and I never seem to tire. I loved your photos and video. 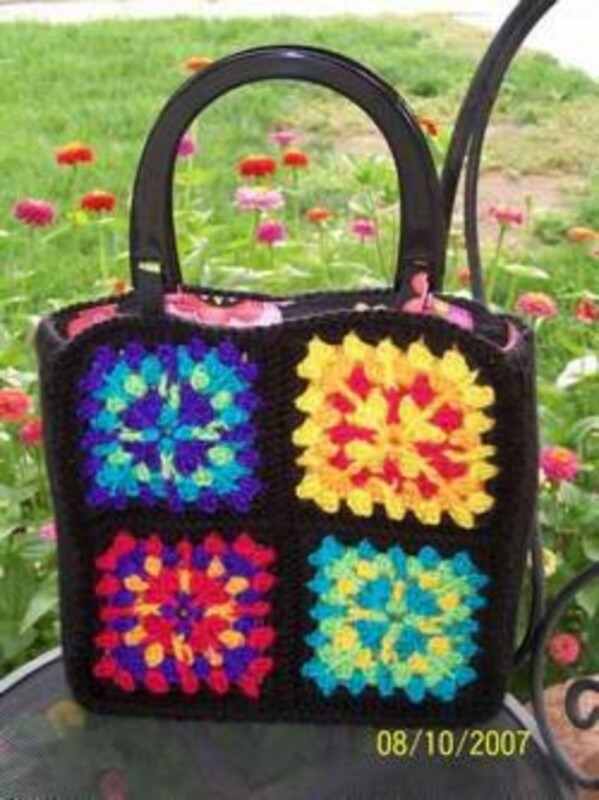 Great page on Granny squares. blessed. Great page on Granny squares, something I have never tried but your page makes it sound so easy, i will add this to my page on FB! Blessed! I have an heirloom granny square afghan. I've always wanted to make one, myself, but I could never understand the instructions. Yours look very understandable and I will be back with my crochet hook and yarn! I just have to say that these are the BEST instructions online that I have found. I am a beginner and found these easy to follow...and I've tried to follow others that I could not figure out. So, THANK YOU!!!!!! Excellent lens ! Great step by step! I learned to chain 3 at the corners, but it looks like 2 works also! Have a great day! I learned to knit when I was little, but never could get past making chains in crocheting until a friend at work taught me how to make granny squares, and I made a lovely little afghan. Great lens! 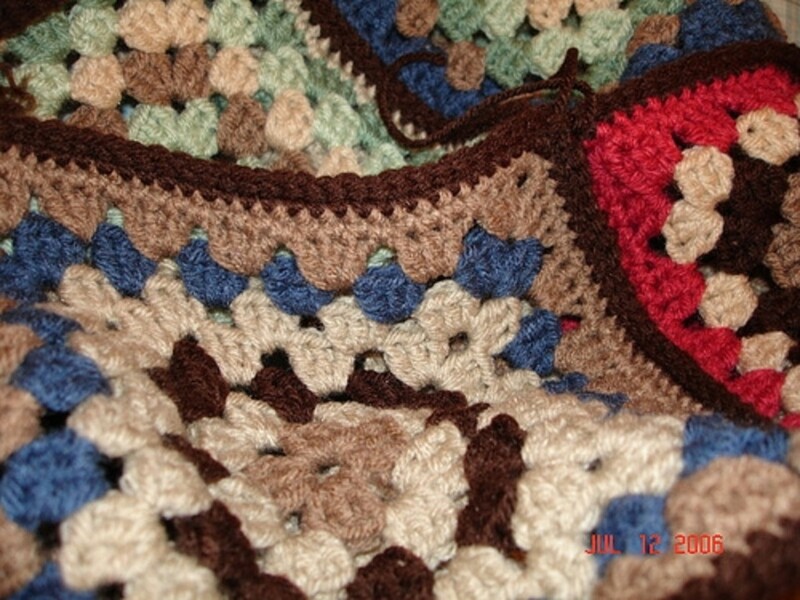 Very nice step-by-step instructions for crocheting granny squares! And helpful videos, too. Thanks! Someday.......I will get ambitious and make granny squares. Maybe soon, now that you have shown the way. 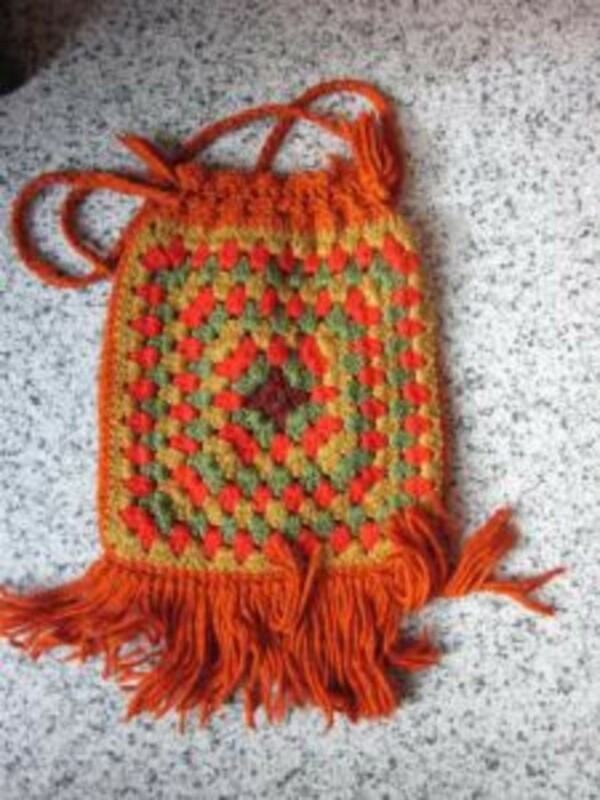 When I was in third grade they taught us how to crochet, since then I've forgotten but always remember the crochet pillow I made my gram that she kept. Enjoyed reading this and glad squidoo had a quest to read this today. This article also deserves a â¢blessed by a squid angelâ¢ too! This is the first pattern I learned to crochet. It brought back memories of when I was learning it. It's been a few years since I actually crocheted a granny square ... what a great place for somebody to start to learn crochet ... that can then add up to an afghan. I love to make granny squares. Each of them are very manageable, but if you make enough you have a great blanket. I like the bright colored crochet blanket. I started knitting but want to get into crochet too. I learned to crochet granny squares when I was a kid. Would you believe my dad taught me? Wow, does this ever take me back! My grandmother taught me this what seems like a couple lifetimes ago. Seeing it here again makes me want to start it all up again. Thank you so much! @marsha32: How exciting Marsha! I'm sure you'll love it when you are done. Just me back again. 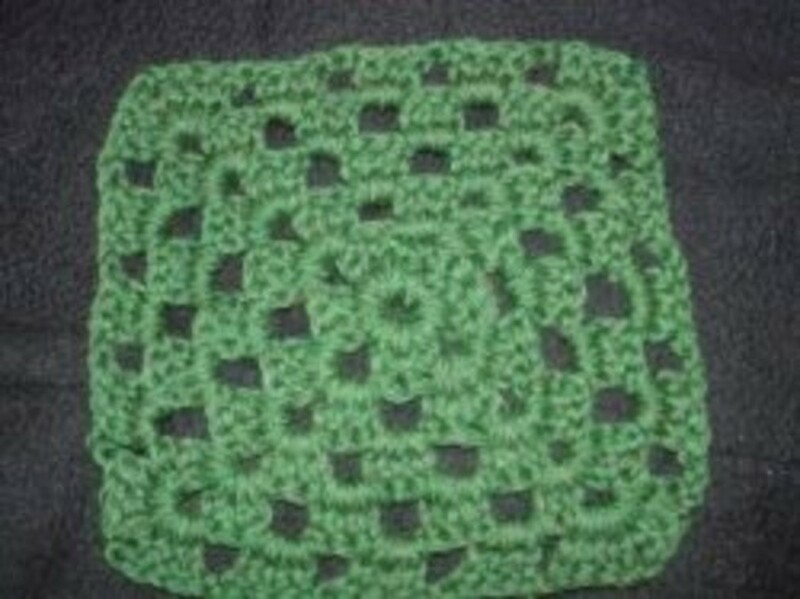 I am using this pattern for the squares I am making. My blanket is growing 1 square each day. Love all of the info here. Blessed! 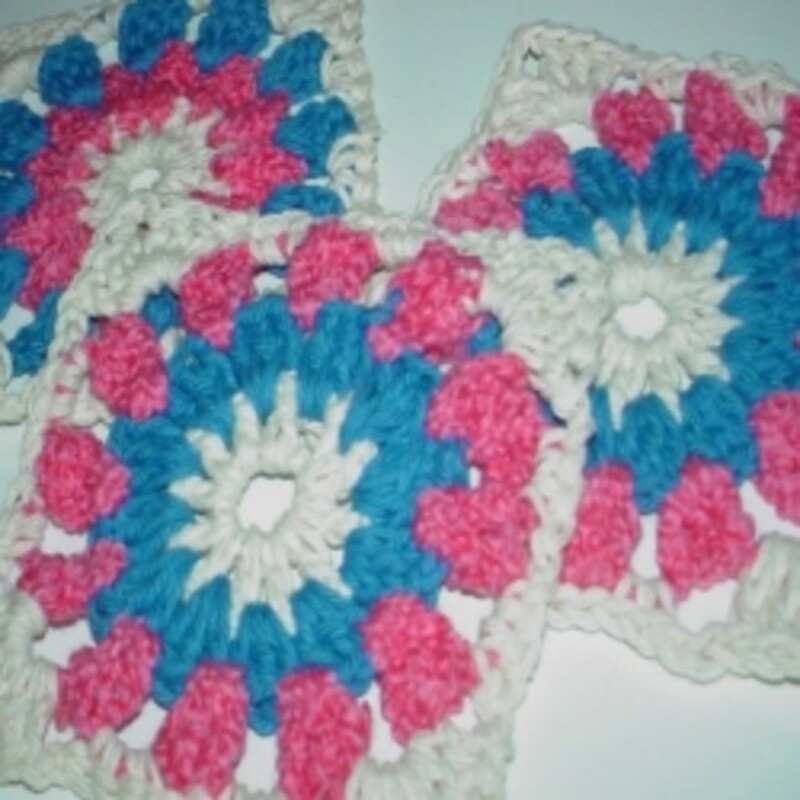 I love these granny squares, they remind me of my grandmother! I love crocheting granny squares. They are so versatile, and extremely warm, especially if used over a sheet or light blanket. Blessings! I don't crochet. but I've seen some quilts with these holes which always annoys me because it doesn't cover you fully against the air. Dang, I wish I could do this. All I can do so far Is make a chain. I'm gonna save this page and come back later with some yarn and a needle and see if I can follow your instructions here. Congrats on making the front page of Squidoo with this lens also. I have a bunch of squares my grandmother made before she passed. She gave them to me because she didn't know how to join them. Thanks for the details on how to put them together, now I need to go find them! I remember as a young bride, an elderly friend taught me to make granny squares. I was instantly "hooked." (Pardon the pun!) I haven't made them for years, but you've put the idea back into my head! Awesome! My daughter is learning to crochet and we talked about Granny Squares, she is doing so well with creating her own designs already, I told her "you are too advanced for Granny Squares"..Now that we saw this page together, we are ready to Granny Square. Great ideas for them! Liked and Blessed! I haven't crocheted in years, and was not sure I remembered how to do it. Thank you for the refresher course. I have bookmarked this lens for future reference, so I can study it later. Excellent instructions! Thanks for sharing. I've been crocheting some things, but have never tried granny squares. You made it seem simple. Thanks! Thanks for all your helpful tips and instructions! I really appreciate your "Color Coded Granny Square Stitches" template. 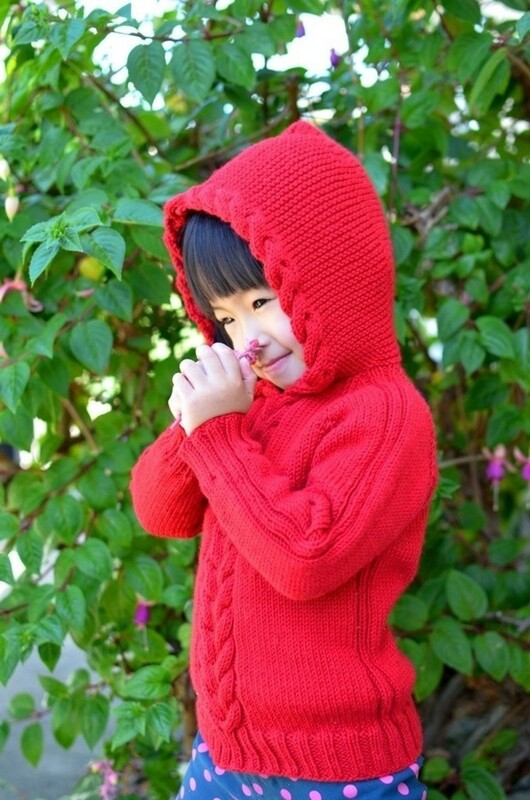 Just back to leave my blessing for one of my favorite crochet articles! Fancy meeting you again so soon on squidoo! This time I did a search to find out how to make a granny square since I accepted a challenge to make a granny square a day in 2012. I haven't crocheted a granny square in years and couldn't quite remember how they were done. @pianolessongirl: Pianolessongirl: Yes, I've been considering that myself. I was thinking of using black or antique white to join the squares together. I've done random Granny Squares, and then put all the different colors together to create a colorful, random quilt. I think those are my favorite ones.....they always turn out one-of-a-kind. Thanks for this great lens! You have done such an excellent job of this lens it truly does deserve the Purple Star Award. Congratulations. Blessings. I followed this pattern almost a year ago when I was first learning to crochet. Now I can crochet anything... afghans, amigurumi, hats, scraves, slippers, etc. .This pattern really helped start my love for crochet. Thanks and God bless you for taking the time to post this. For everyone who is new at it...don't give up! It was like a foreign language to me when I first began. Now a year later I can crochet almost any pattern I pick up. And it all started with this granny square. Good luck everyone! I remember making this in school, i made it with one of those multi-colored pink and white crochet thread. It really is great for beginners since it was the first pattern I ever successfully and easily completed. 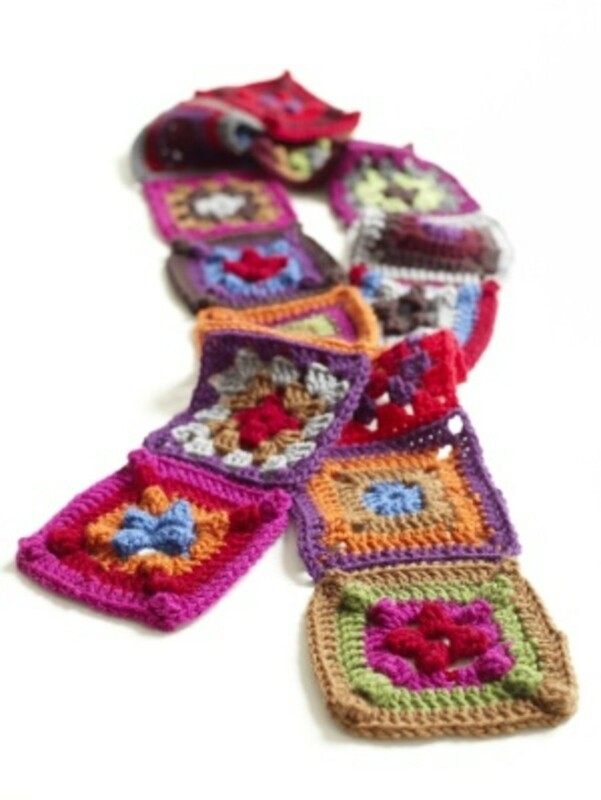 My next project will be with Granny Squares so I'm glad I found this article. Blessed by a wandering Squid Angel. This is the 5th website and 5th granny square I've tried - the first one with which I was successful...thank you! Great lens. 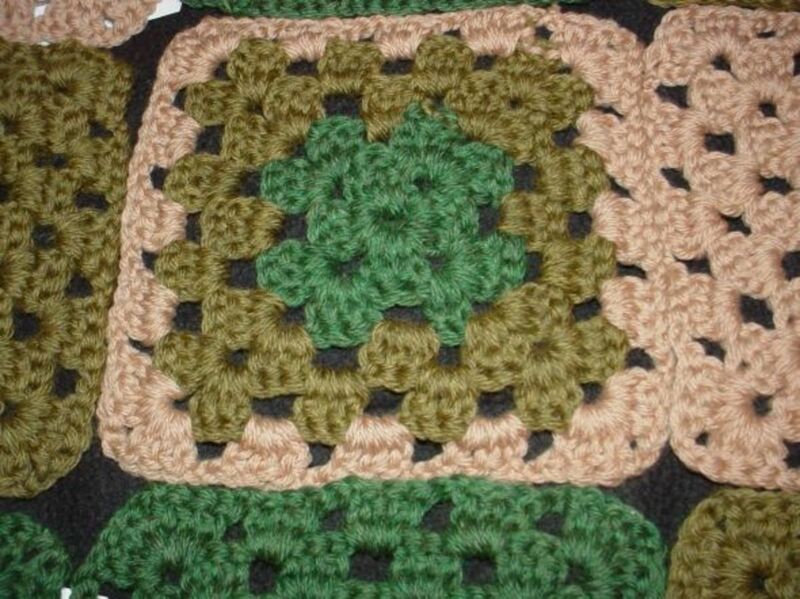 I have been crocheting for many many years, but Granny squares have always been a challenge for me. You make it look easy. I can't wait to try again. Thanks!!! I'd love to give knitting a go one day. :) Nice lens! Ooh, my grandmother used to make these - we have some blankets made from the squares, my aunt joined them all up for her! Unfortunately my crocheting skills were minimal. Maybe I can get my daughter to read this and learn! Fantastic! I make them too! 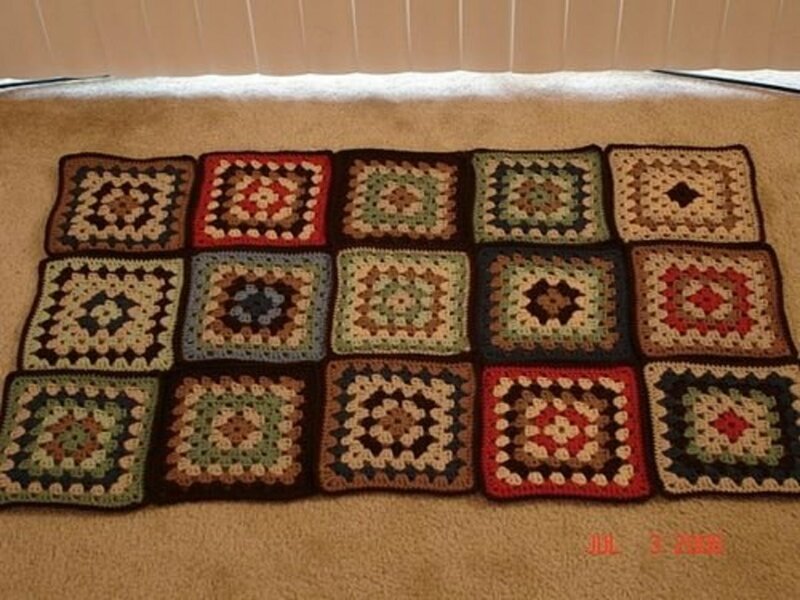 I used to crochet and made a granny squares afghan, well I made the squares and my mother ended up sewing them together because I'd gotten bored by then. I guess that was not my thing. I should pass this along to my sister. She is trying to teach her grandchildren to crochet. My mom crochets. I never learned. Maybe I should give it a try. You make it sound easy. 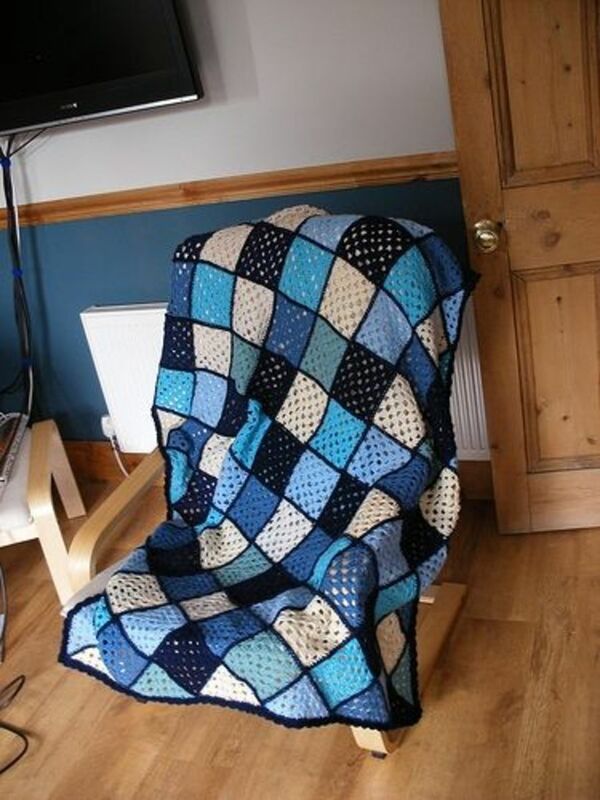 I made an afghan years ago from granny squares. I appreciate all your details that you have in this lens. Great job! 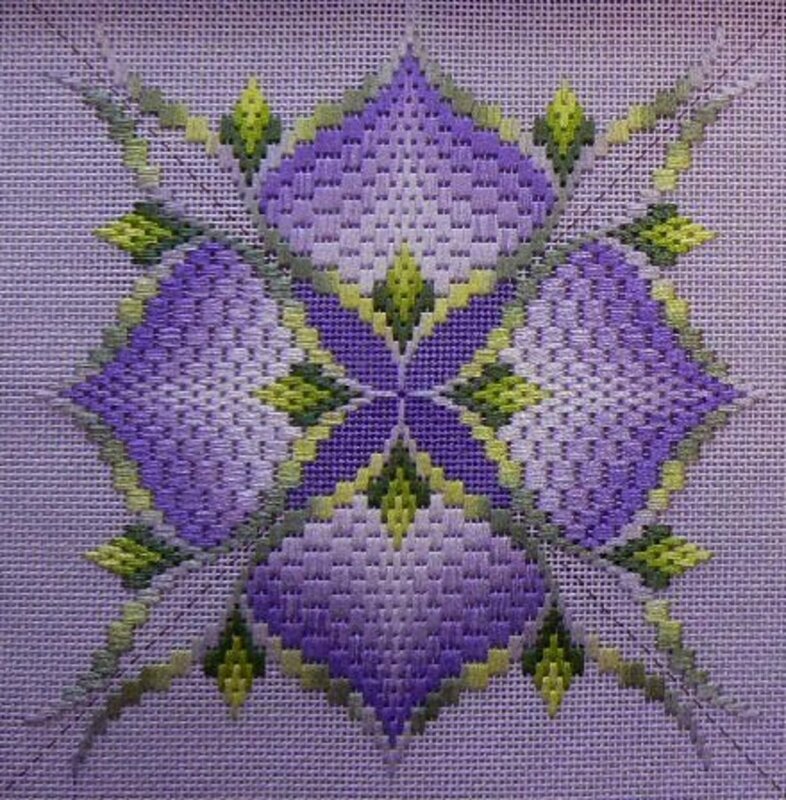 I have already been at this wonderful page, but this time I could add in a sprinkling of Angels Dust....This is THE actual page I used to learn how to make a Granny Square....honestly! My mother once taught me to crochet granny square and this reminded me of her showing me. Fond memories and nice looking lens! I love granny squares. 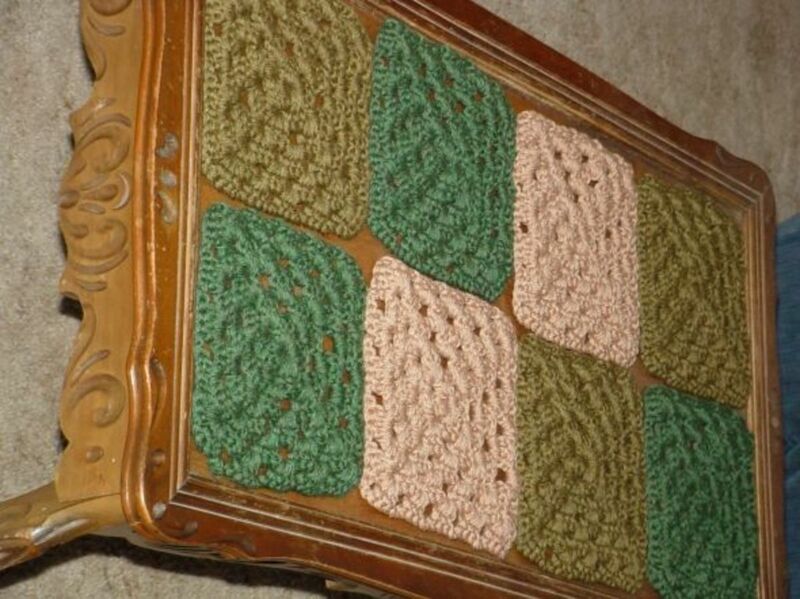 A good granny square blanket gives a house such a homey feel! Well that was helpful. I get it with the visual. Thanks! Angel blessed for teaching me something I didn't get before. I have acquired crochet 2", 4", 6", 8", 10" and 12" square blocks, and I need to find a pattern that shows or tells how to put it together. Probably the most primary of crochet stitches embrace the chain stitch, the slip sew, the double crochet stitch and the treble stitch. It is important to be confident and successful about forming these stitches, as the vast majority of crochet patterns embody all of them. great lens - angel blessed and featured on my road trip to crafts lens. @anonymous: Yes, the color coding helped me immensely when I was getting started. @Holley Web: Hook size varies so much with yarn weight. I think you can truly use any hook that is big enough to "hook" the yarn, it will just change the gauge a bit. @sukkran trichy: Thank you! That means so much to me! @Scarlettohairy: Lol Scarlett. I love the squares... and grandmas! Did you check out the cup, "I might be a granny, but I'm no square!" Thanks for the detailed instructions on crocheting granny squares. Since I'm a granny X 3, I really should learn how to do this. A very well done and understandable tutorial on making granny squares, I particularly like your color coded stitch guide. I get lost at step 4. I don't understand how to slip stitch in the top of the "next 3 double crochet stitches." 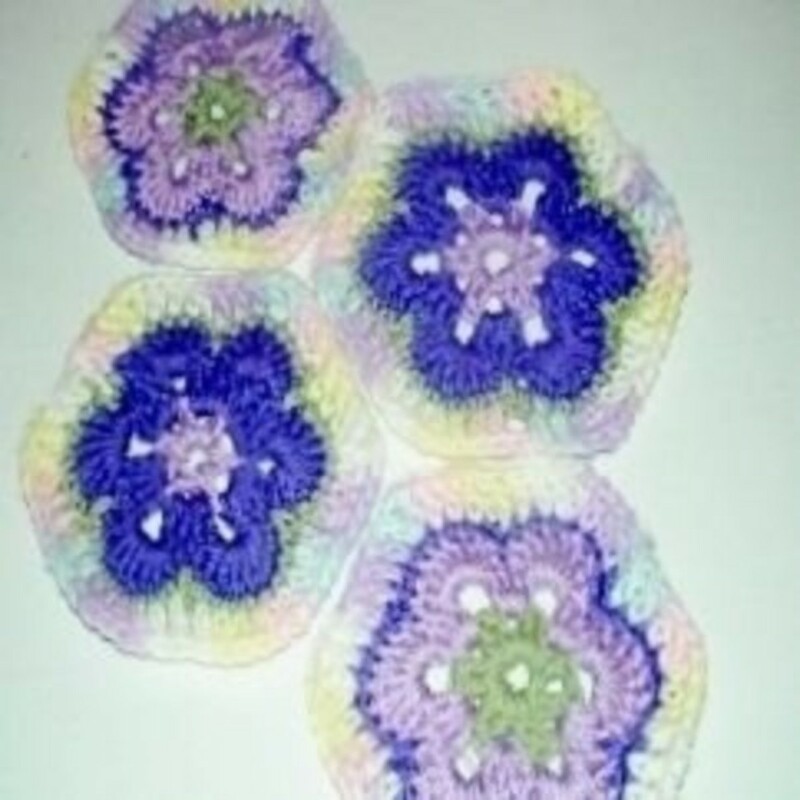 I have looked at youtube, searched google, read yours and other lenses about granny squares and I can't seem to figure it out. Oh well, it was a nice thought. Maybe some day I will figure it out. Great lens if only I wasn't so directionally challenged. Sigh. Your pictures and instructions are very thorough. I do love to crochet too.....I find it so relaxing. You can make so many wonderful things with this square! Angel Blessed! Great instructions - thank you. Thankyou, wonderful clear instruction, and a lot of helpful links too! Wonderful lens! I love all the helpful photos :). :) I have returned today to leave my blessings and to let you know this lens is now featured on Squid Angel Mouse Tracks in Crochet. Great instructions, and these would be a great place for a beginner to start, too.